The walloping amounts of sugar Americans guzzle each year have contributed to an increase in osteoporosis diagnoses. The natural sugar substitute stevia has been shown by research studies to both satisfy your sweet tooth and safeguard your health and wellness. The natural sugar substitute stevia comes from the leaves of Stevia rebaudiana. In Part 1 of this article, you learned why and how sugar harms your bones. Now, it’s time to learn how to satisfy your sweet tooth with a healthier alternative sweetener—stevia. Stevia contains no calories, no carbohydrates, and no natural sugars, yet it gives a sweet flavor similar to that of sugar. Stevia is a green-leafed herb (Stevia rebaudiana) commonly known as “the sweet leaf of Paraguay.” Stevia benefits overall health in various ways, as the indigenous peoples of Paraguay, Bolivia, and Brazil have known for centuries. They most often used the sweetener as a natural treatment for heartburn. But today, research has uncovered a number of ways stevia benefits the body. 1. Stevia benefits individuals with pre-diabetes or diabetes. Unlike sugar and other artificial sweeteners, stevia does not increase blood sugar levels, so it does not trigger an insulin response in the body. On the contrary, research indicates stevia actually enhances a person’s tolerance to sugar, which makes it an ideal sweetener for people with pre-diabetes or diabetes. 2. Stevia benefits the heart by stabilizing blood pressure levels. Stevia benefits the heart as it helps lower elevated blood pressure levels. In one research study, participants took either 250 mg of a stevia extract or a placebo three times per day for one year. The group who took the stevia extract experienced a significant decrease in both systolic and diastolic blood pressure within three months. 3. 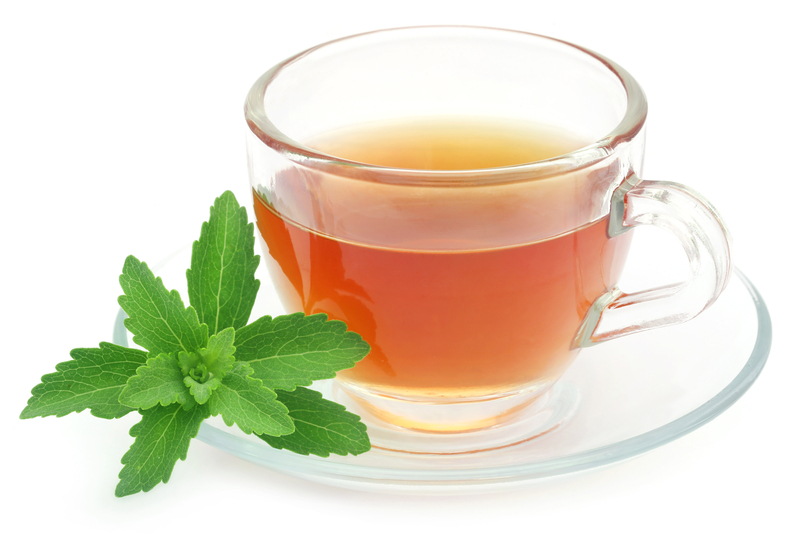 Stevia benefits individuals with obesity. A group of researchers tested whether consuming a pre-loaded snack containing stevia versus a snack composed of other sugars before a meal had any effect on the participants’ total food intake and feeling of satiety afterward. The results indicated that those who consumed the stevia did not consume as much food at lunch and dinner as the table sugar group did. Furthermore, the table sugar pre-loaded snack contained 203 more calories than the stevia snack. The researchers concluded that using stevia instead of table sugar is an effective strategy to both manage food intake and decrease overall caloric intake, thereby promoting weight loss and total body fat decrease. 4. Stevia benefits bone health. Unlike sugar consumption, which causes osteoporosis, eating stevia benefits the health of your bones. A Japanese patent application for possible osteoporosis treatment with stevia suggests that the sweetener may help promote absorption of calcium in the body and help improve bone density. The Japanese researchers investigated how stevia benefits bone strength when used as a medicinal herb in a study involving farmed chickens. The study revealed that chickens fed food with added stevia have dramatically reduced eggshell breakage. First, farmers provided their chickens extra calcium, but it had no effect on their eggshells as the chickens’ calcium metabolism could not keep up with their egg production. However, the farmers then gave their chickens stevia powder. The results indicated calcium metabolism increased substantially and only 2 to 3 percent of the total eggshells broke—all without a decrease in egg production. 5. 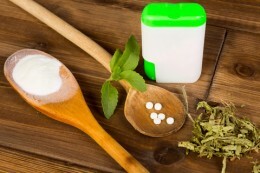 Stevia benefits dental health. Studies suggest there is a significant relationship between periodontal disease and bone mineral density. In fact, aside from fracture, periodontal disease and tooth loss are often the first signs of weakening bones. A study conducted at the University of New York in Buffalo concluded that post-menopausal women with osteoporosis were 86 percent more likely to develop periodontal disease than those who did not have osteoporosis. And, what is the number one cause of tooth decay and periodontal disease? Sugar! Since stevia contains no sugar, it automatically makes it a better alternative for your teeth. Plus, stevia inhibits growth of Streptococcus mutans, the bacteria responsible for forming dental plaque in the mouth. Br J Clin Pharmacol. 2000 Sep;50(3):215-20. Appetite. 2010 August; 55(1): 37–43. J Clin Periodontol. 2004 Aug;31(8):680-4. Journal of Medicinal Plants Research Vol. 6(32), pp. 4731-4734, 22 August, 2012.
appetite, artificial sweeteners, bacteria, blood pressure, blood pressure levels, blood sugar, blood sugar levels, bone, bone density, bone health, bone mineral density, bone strength, calcium, calories, dental health, diabetes, diastolic blood pressure, elevated blood pressure, food, for heartburn, health, heartburn, improve bone density, insulin, menopausal, metabolism, natural treatment, natural treatment for, obesity, osteoporosis, osteoporosis treatment, pre diabetes, stevia, strength, sugar, sugar levels, sweet tooth, your bones. I use stevia in my coffee and enjoy it, but some people find it to be overly bitter. I have tried baking with it and have yet to be happy with the results, so it’s just for coffee for me! One thing to watch out for is the source of your stevia. There are many highly processed brands that aren’t much better than Splenda or other chemical sweeteners. If your grocery store has a natural section, look there for the dietary supplement versions of stevia. I like Sweet Leaf whole leaf stevia concentrate liquid. I have tried using stevia but I cannot tolerate its taste. It doesn’t matter how natural it is or how good it is for your bones if the taste is bad. I also cannot tolerate Sweet and Low. Splenda is tolerable and Equal is the best. You should know that foods to not taste the same to everyone. That is why some of us dislike many vegetables. This is alisa from Siyuan Stevia Co.,Ltd. We are professional stevia manufacturer, our factory have 6600 acres stevia plantations in china. We supply stevia to global customers about 2000mt every year. We can supply the best quality with competitive price. We have cooperation with many famous dealer. If you need price list and sample please kindly contact me. Wish to establish cooperation with your esteemed company.